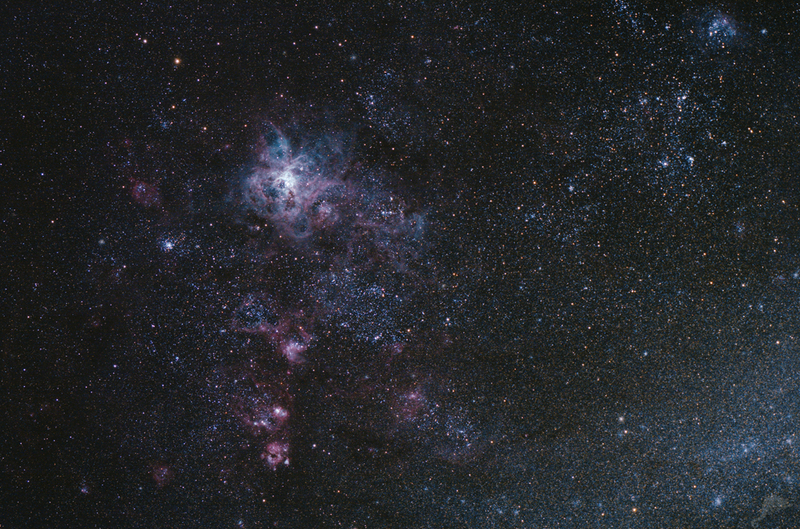 Even short focal lengths are able to resolve single stars in the Large Magellanic Cloud (LMC). 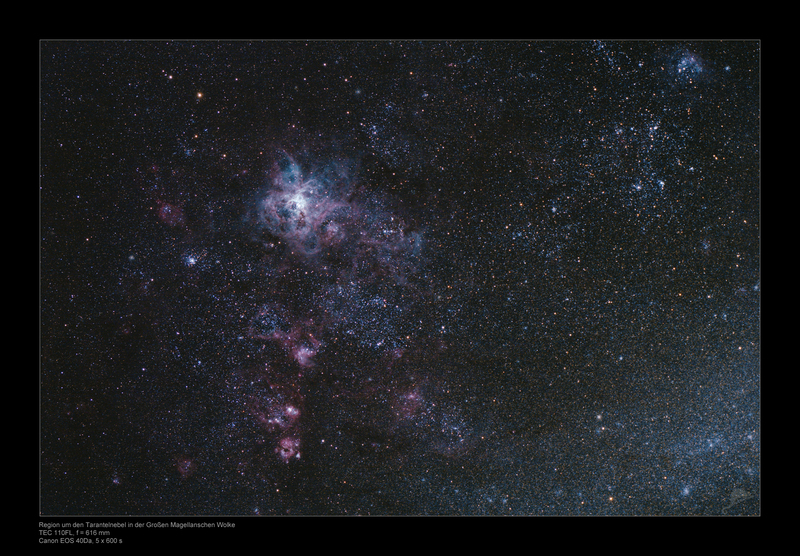 The image shows a small piece of the LMC which contains the famous Tarantula Nebula (NGC 2070), many star clusters and further nebulae. 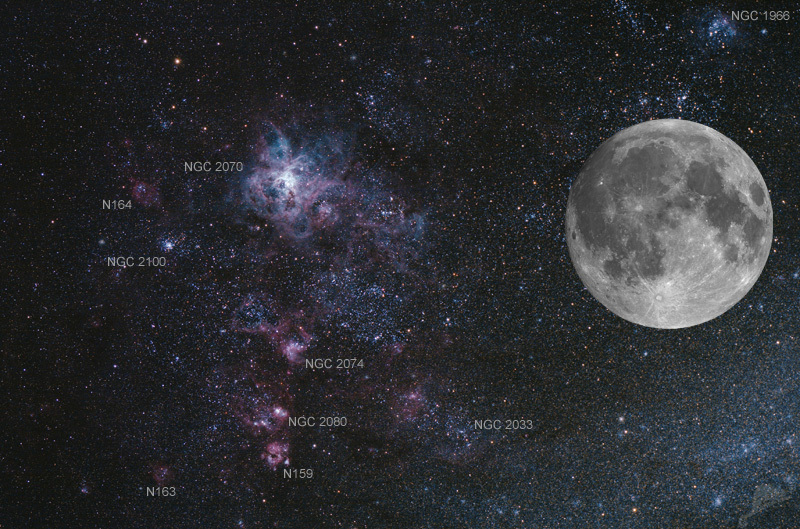 A detailed view into the center of NGC 2070 was imaged in the same night with the CDK17.